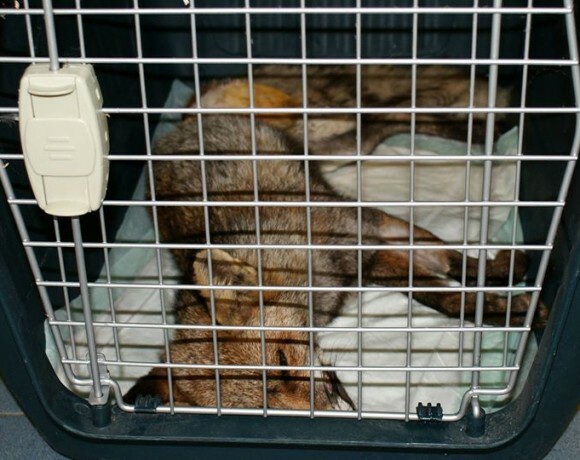 Many wild pets who need help and are rescued are not protected and Healing centers cannot take care of them. These are individuals who, if not recovered, are destined for education programs, captive breeding and sometimes euthanized. We want to help these animals by being a refuge for this unrecoverable wildlife that serves both as an educational and formative resource. For them, the Ecological Reserve of Ojén opens its doors to all those animals that, after passing through a healing center, could not survive on their own in Nature. Foxes, egyptian mongooses, deers, raptors and many other local species are welcome in this refuge for unrecoverable wildlife. Your support is a great help for our animals, providing them with evrything they need to keep them in good conditions. Each contribution contributes to improvements in facilities and equipment that ensure the proper functioning of the Reserve. You will receive a support certificate with your name on it. You can give a name to the animal you are supporting. You will receive a quartely newsletter with all the announcements, news and potos of your sponsored pet. The cost of an annual sponsorship is 30 euros. If you are willing to sponsor and help the people of the Reserve to survive, complete the formulary, We will get in touch with you. Remember : THEY NEED YOU !